It’s amazing to see how far Fish to Schools has spread. 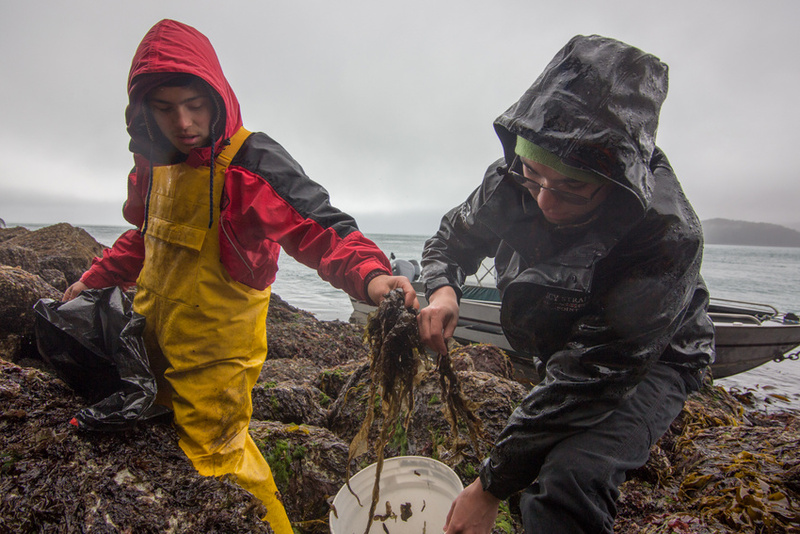 Sitka wasn’t the first community to serve local fish in schools , but we put the program on the map. By telling our story, advocating for policy change, and sharing resources we’ve been able to support Fish to Schools efforts across the state. And it’s happening! Alaskan fish is now served in nearly every school district in Alaska. I just finished up a few visits to four Southeast Communities: Kake, Hoonah, Hydaburg, and Kasaan. I was working with the Sustainable Southeast Partnership to check out what’s happening in each community and connect them to resources to strengthen their programs. I started in Kasaan on Prince of Whales Island (POW). It’s a tiny village of about 60 people with a traditional schoolhouse and 10 kids. They started serving Alaskan fish in 2013 but it comes from the Anchorage area. 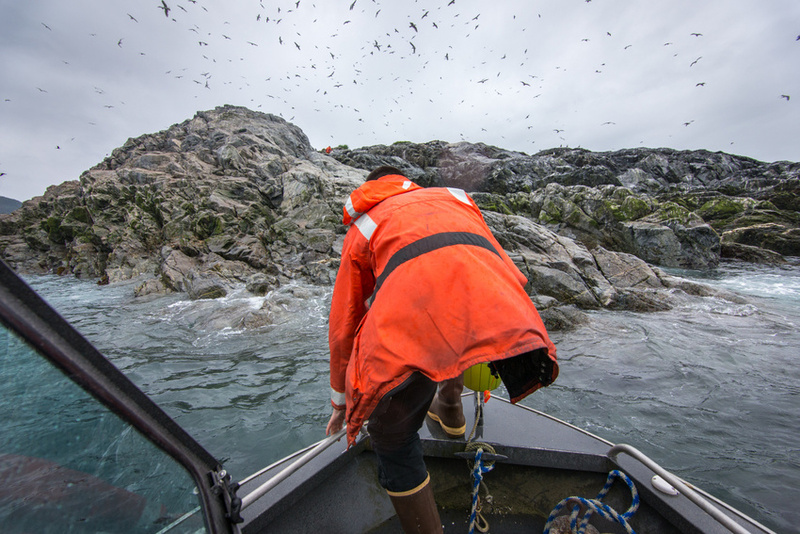 Kasaan is surrounded by water and subsistence is a way-of-life—finding local fish isn’t the problem. But as it stands only commercial fish can enter a school meal program, so we’re looking at how we can circumnavigate that and support the fishermen who live on POW. Next was Hydaburg, a village of about 400 people and 50 students. They have a similar story, Alaskan fish is offered but it comes from up north. They have commercial fishermen but the closest place they can deliver is in Craig. 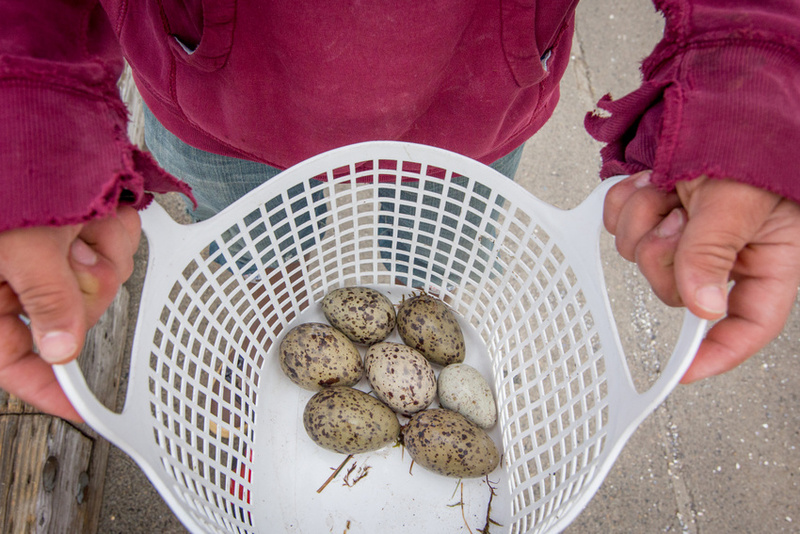 There are a few logistical challenges to get local fish in Hydaburg schools, but the interest is there to make it possible. Then I was in Kake, with about 550 people and 110 students. They have been serving fish from Wasilla but have a local seafood processor in town. 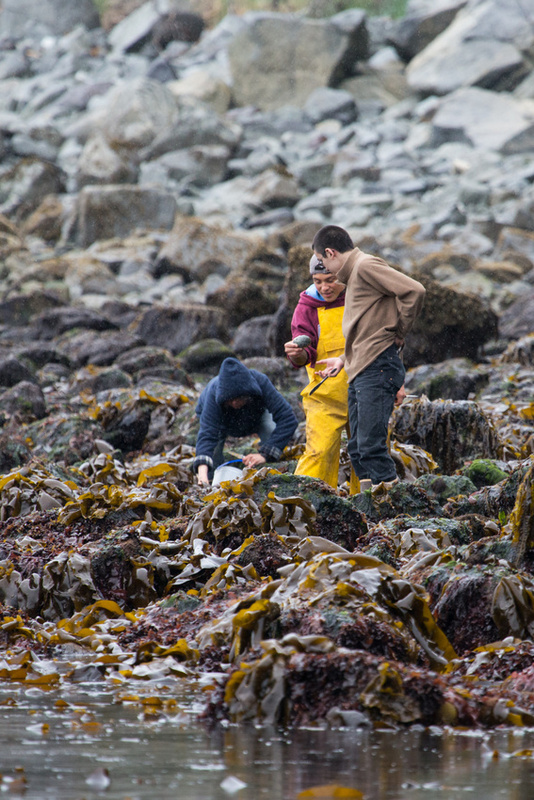 The processor up north portions and packages fish in a way that makes it easy for the school—but it doesn’t support the local fishermen or processor right in town. It’s convenient yes, and that’s important; schools just don’t have enough staff in the kitchen to cook foods from scratch. While the local seafood processor can’t match the level of processing they are currently used to, they are willing to do some minimal, custom processing for the school so Kake can serve Kake fish next year! I finished my round of visits in Hoonah, where a strong program already exists. 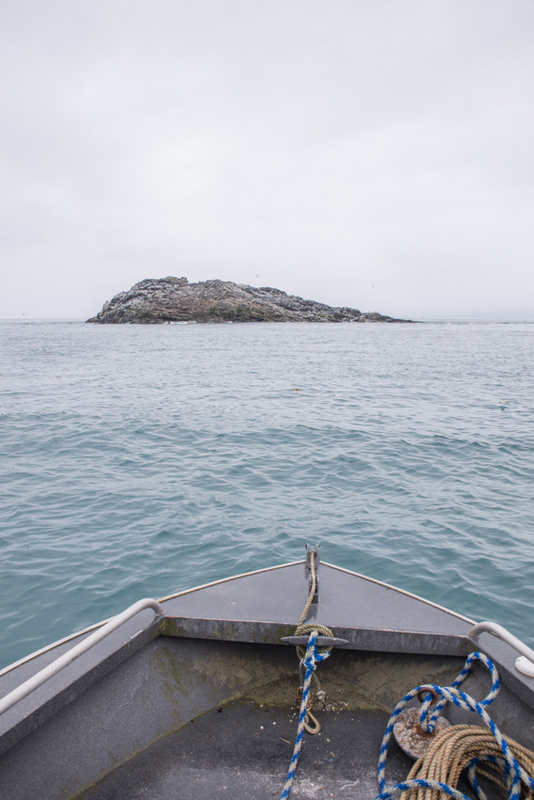 This town of about 750 residents and 100 students, has seen local halibut in schools since 2012. They serve salmon as well but also source it from up north. They are willing to give local salmon a shot next year and hope the pin bones won’t be a big (time) issue. All four districts I visited have been purchasing local seafood through the Nutritional Alaskan Foods for Schools grant. It’s created an incentive to purchase local and also offsets the high food costs for small, remote communities. Kasaan, Hydaburg, and Kake all specifically spoke to the economic importance of purchasing locally for their communities. Every district also seemed open, even enthusiastic, to the Stream to Plate curriculum. Principals and superintendents were excited to pass it along to a few of their teachers, who could implement and adapt the lessons to their classroom and community. Teaching students the backstory to the fish on their plate will empower them to make food choices that extend beyond taste. 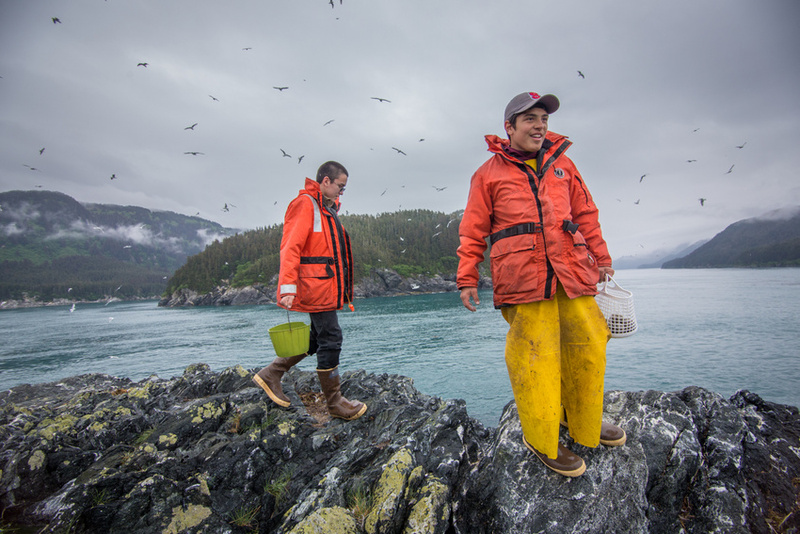 These children are our future fishermen, seafood processors, entrepreneurs, resource managers, and consumers of Alaskan seafood. All in all, the response was positive and I’m excited to see what happens. Each community has an active community catalyst through the Sustainable Southeast Partnership to follow through on Fish to Schools goals. I’m here on standby as they make small and significant changes. The Sitka Conservation Society is working with a team of stakeholders to advise the US Forest Service and amend the Forest Plan for our beloved Tongass National Forest. 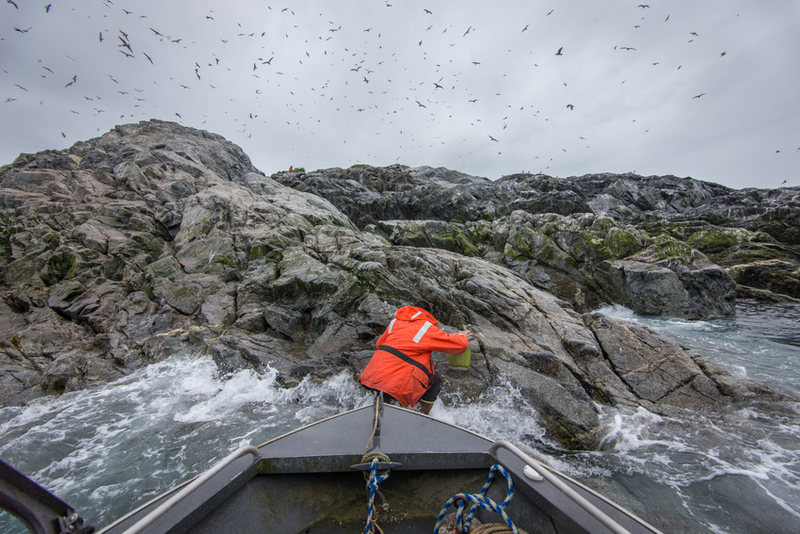 To ground our vision and better understand what timber on the Tongass looks like today, we left our insulated home of Sitka to visit Prince of Wales Island. Under the mentorship of Michael Kampnich, a field representative for the Nature Conservancy in Alaska, we were greeted by 4 millers who shared a great variety of wisdom and insight. Last week, we revisited these mills, by sharing their stories and revealing how their insight is helping inform our vision as a Conservation Society. We can not pretend that after having a handful of discussions with millers on POW that we know everything about logging in the Southeast. For one, we were not able to connect with Viking, the larger engineered mill that consumes the highest volume of old-growth timber, performs minimal on-site processing and whose business model currently relies on exporting a high percentage of raw or minimally processed wood. Viking also supports infrastructure on the island that enables smaller mills to stay in business. Our positions are adapting and changing and influenced by our relationships with these millers, our members, and our ideals. As we move forward, we can maximize our common ground and seek changes to timber management that give a strong foundation to this ground. Our take-home messages were many. A handful of key themes were identified and require follow up. Defining a sustainable and responsible timber industry on the Tongass is grounded in careful forest management. The ecological integrity of our forest and its great variety of resources feed our residents and support strong industries in salmon, timber, recreation and tourism. The great variety of multiple uses of our rainforest resources must always be balanced with, not foreshadowed by timber and unrealistic target board-foot goals. The Forest Service needs to shift away from unsustainable timber volume targets, as ultimately this management system has failed to meet the needs of Southeast Alaskans. Instead, The focus needs to move towards what the landscape, and communities that depend on it, can sustain over the long-term. We want timber resources used responsibly and for the highest value possible. Wood that could be turned into a mandolin or rot-resistant decking, should be recognized for its highest value use and manufactured as such. We want to support local job creation not just in the short term, but careers that can be passed to future generations within and across families. We want to empower Alaskan residents to source their wood products locally to support the vibrant and healthy local mill industry so that it can continue to grow and support rural Alaskan communities in the long term. We support the development of a timber sale structure that maximizes regional benefits and retains healthy old-growth characteristics and functions even in logged stands through selective harvests. Collectively, we must push forward timber sale structures and contracts that prioritize keeping the most money, the greatest amount of jobs and the largest amount of wood in the region that needs it, Southeast Alaska. 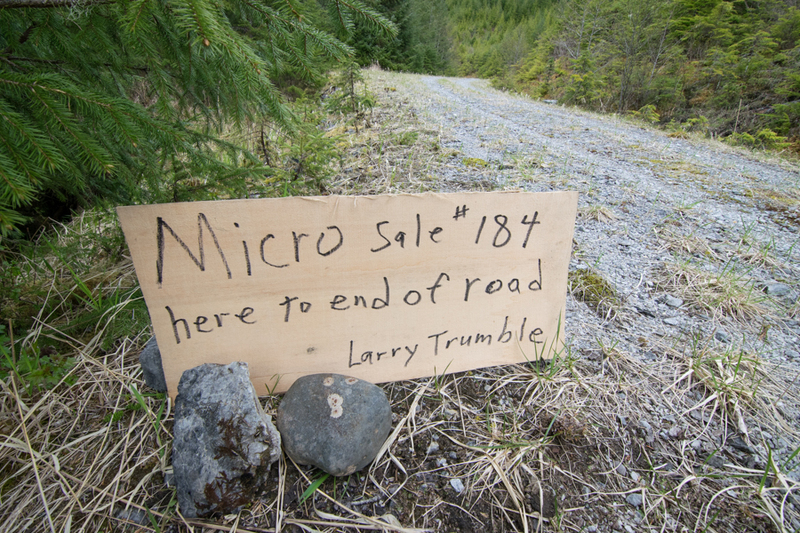 The micro sale program, which allows the selective harvest of dead and fallen old-growth wood in proximity to specific roads, is an example of small-scale and valuable timber program that we intend to support. The success of this program depends on keeping a selection of existing roads open. We want to seek policy action and management change that will grow a healthy and sustainable, well managed timber industry on the Tongass long into the future. Much like the small mill operators we visited with on Prince of Wales Island, these Sitkans want to see more local timber being used in our community. 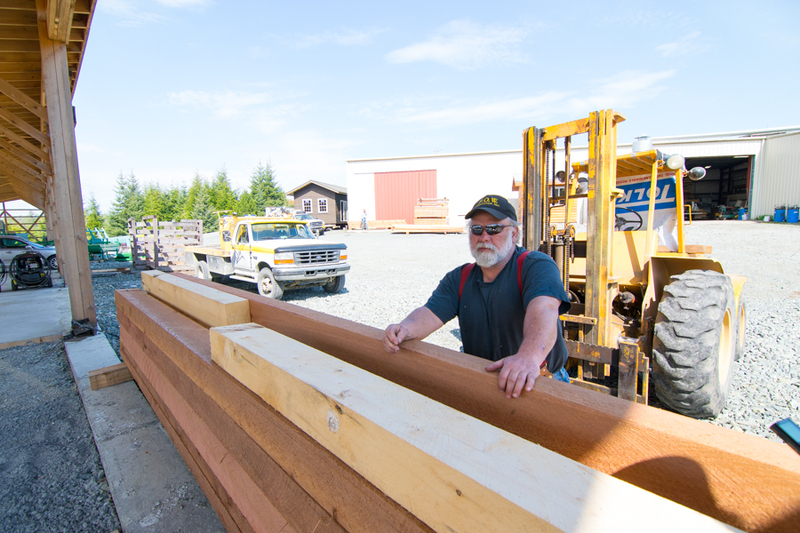 All of these contractors, builders and millers work to keep Tongass Timber local. This is a view of the Good Faith Lumber facility. Workers are processing solid slabs of lumber into smooth table tops. Good Faith Lumber, far surpassed our expectations as far as size and workload. Good Faith is owned by three Thorne Bay residents with a combined experience in the wood industry of over 92 years! We walked around the facility and watched big beautiful slabs of old-growth lumber being planned and finished into gorgeous table tops. The employees were all busy at work water blasting gravel from the raw wood, operating heavy machinery and soaking in the opportune hot Southeast Sun. We met with Hans on his break. These rustic slab tables are planned smooth to perfection and will make for a gorgeous, high-quality, unique table top. 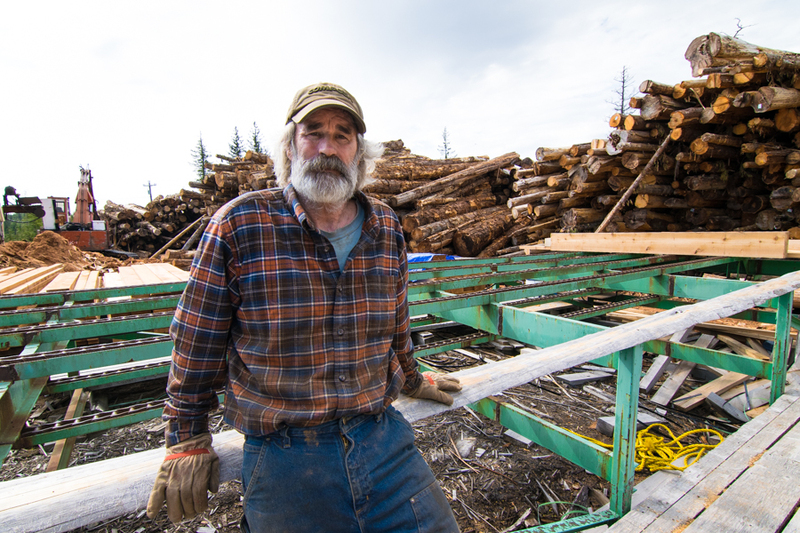 We asked Hans about his history and relationship with Alaskan timber. He stressed his dedication to in-region manufacturing as opposed to wholesale export of raw lumber and job opportunities to markets outside of Alaska. We agreed with Hans. 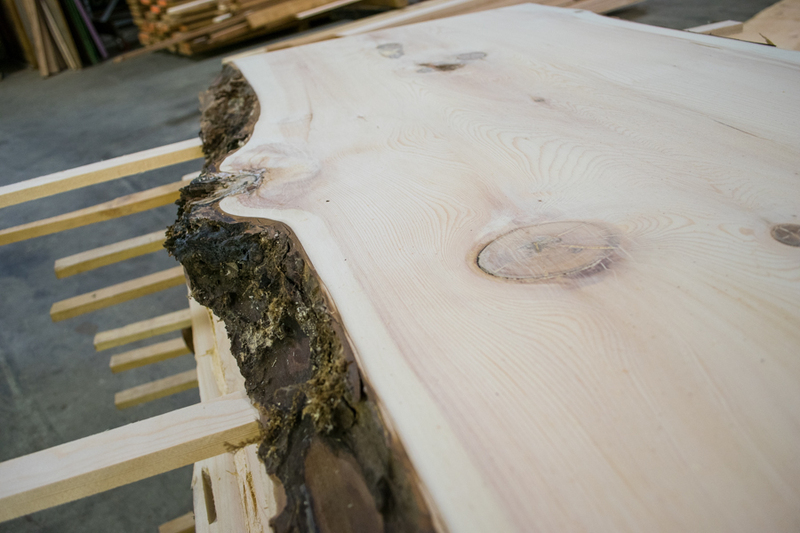 Our valuable timber should be carefully and responsibly managed. The lumber should be used in a way that maximizes benefits to the region and our local rural communities. Rather than mass export raw products to Asian markets or companies in the lower 48, this wood can, and should be used to create jobs and valuable products right here in Southeast Alaska where jobs, and a stable economy are so desperately needed. How can we better incentivize in-region manufacturing? This is a question and goal that needs more exploration. We continued our tour and noticed, smoke billowing out above a gravel mountain from the corner of the property. This is where waste wood is burned. Around fifty percent of a given log can be wasted and unfortunately, as it is now, these local mill operations are left to burn the leftovers. Keith Landers and Hans expressed a common guilt and sadness for burning this waste. Removing wood from the forest only to end up using half of it to fuel a continuous bonfire is a modern tragedy in the Southeast. Wasted wood can and should be used to fuel creative markets and heat homes in a region where incredibly high energy costs debilitates our economy and leaves residents scrambling to pay utility bills. This waste is not only problematic at the stage of manufacturing and processing, the floor of clearcuts and thinned forests are often littered with abandoned wood, disregarded as ‘non merchantable’. Eliminating the waste stream in our industry requires both societal and political change. For one, building a culture that admires defect, that refuses to burn waste wood when it can be manufactured into unique and functional products. This wasted wood could also heat homes. 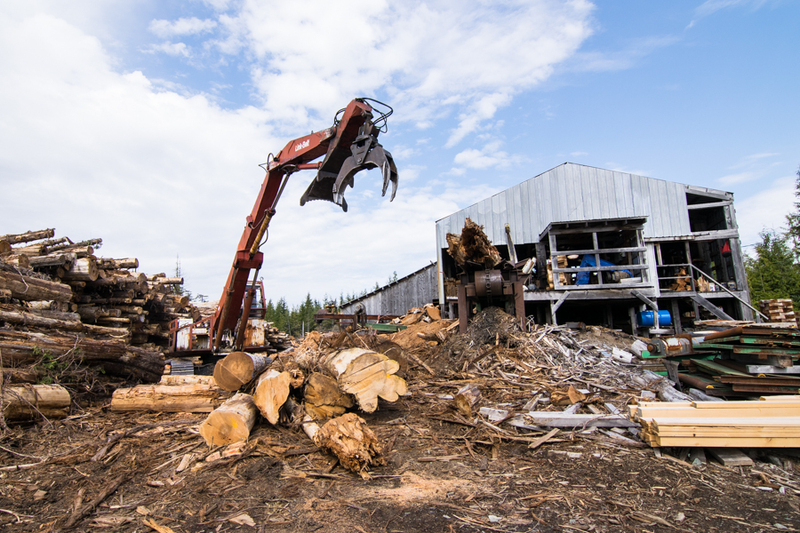 Exploring a sustainable ‘biomass’ industry that could fuel Southeast Alaska and reduce exorbitant energy costs for rural Alaskans is on the agenda of everyone from SCS and the Forest Service to the millers themselves. Four mill owners on Prince of Wales, including Keith Landers and Good Faith Lumber, are interested in partnering to turn waste wood into chips or pellets for sale to local markets. The success of a localized biomass industry, depends on regional markets. The Forest Service is exploring biomass utilization schemes. This exploration and the related initiatives have not yet trickled down into action on the ground, in the communities and across industries where it is needed. 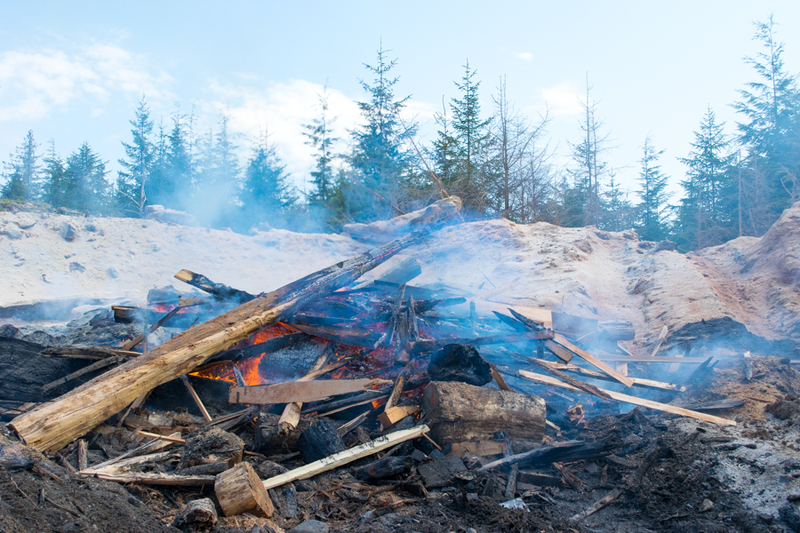 There are a number of policy changes that can also help eliminate wood waste at its source. As it is now, the US Forest Service has a very relaxed definition of ‘merchantable’ wood. This allows the winning timber sale bidder to leave behind high volumes of ‘slash’ or cut and abandoned ‘unmerchantable’ wood on the floor of a clearcut. Policies like this incentive our current timber culture that lags far behind the lower 48 as far as eliminating waste streams and maximizing industry efficiency per board foot. Waste wood is currently burned at H&L Salvage and Good Faith lumber. This wood could be processed into chips or pellets and used to heat homes here in rural Alaska. Four local millers across Prince of Wales island are interested in starting a biomass industry to use this wasted wood. Starting a biomass industry is dependent on having boilers and markets to sell to. One way to eliminate old-growth waste is by encouraging selective logging and only cutting the trees that are wanted. By leaving trees standing, rather than cutting and ultimately abandoning on the clearcut floor, this practice better protects forest structure that would otherwise be lost under a clearcut regime. In many situations, the USFS requires all trees to be cut. The resultant forest consists solely of trees of the same age. Once the canopies close, these even-aged trees block out the sun and prevent a healthy understory from growing. In order to speed growth, restore habitat diversity and improve function for deer and other wildlife, these stands are periodically thinned- often at great cost. Under a partial, selective-harvest regime, a certain percent of the multi-aged structure of the stand is retained. The resulting forest avoids complete canopy closure and the subsequent detriment to wildlife. Therefore, costly thinning procedures are no longer required and the ecological integrity of the forest prevails. The Tongass already contains vast tracts of clearcut land and subsequent young-growth forest. Additional, mass clearcutting of our vanishing old-growth forest is wasteful and costly in both economic and environmental terms. 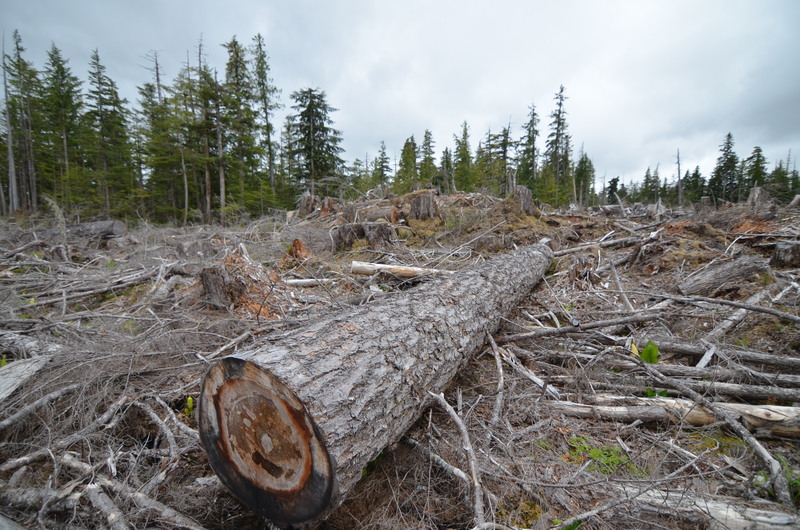 Future old-growth harvests should focus on reducing needless waste and destruction of valuable wildlife habitat by leaving a selection of trees standing and only removing those which meet the specific needs of the logger. By being more selective and prudent in the way we harvest our forests we can achieve common goals and bridge the differences between those driven by economic and conservation goals. We left Good Faith Lumber and stopped distracting the very busy workers from the tasks at hand. Good Faith Lumber produces large quantities of high quality dimensional lumber and their products are in high demand. We thanked Hans and his colleagues for their time and piled back in the rig to ruminate on and discuss all the insight and wisdom these delightful woodworkers shared with us. Check back next week for the conclusion and summary of our visit to Princce of Wales. We rolled up to our next stop to visit Keith Landers at H&L Salvage. Keith has been making shingles here for twenty years. 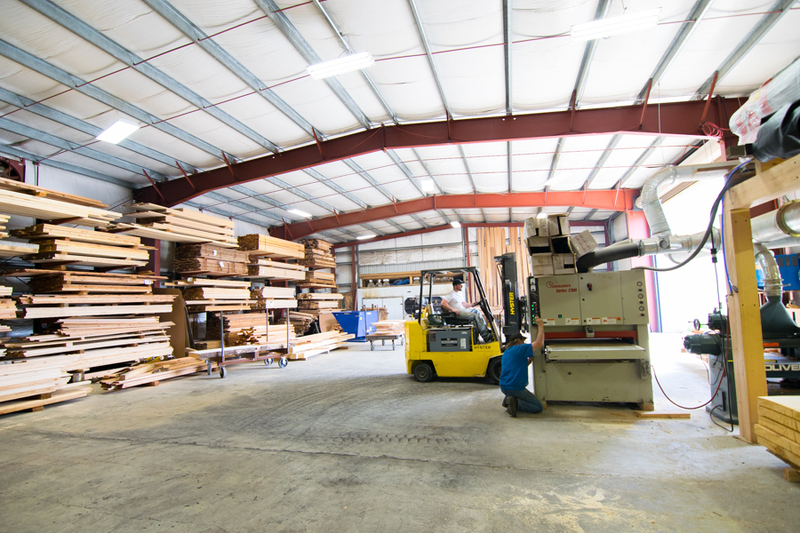 In the last decade, H&L began manufacturing dimensional lumber as well. Landers was eager to chat and there was no shortage, or filter, to the wisdom he was willing to share about the industry, society, timber sales and even his opinion of environmentalists. 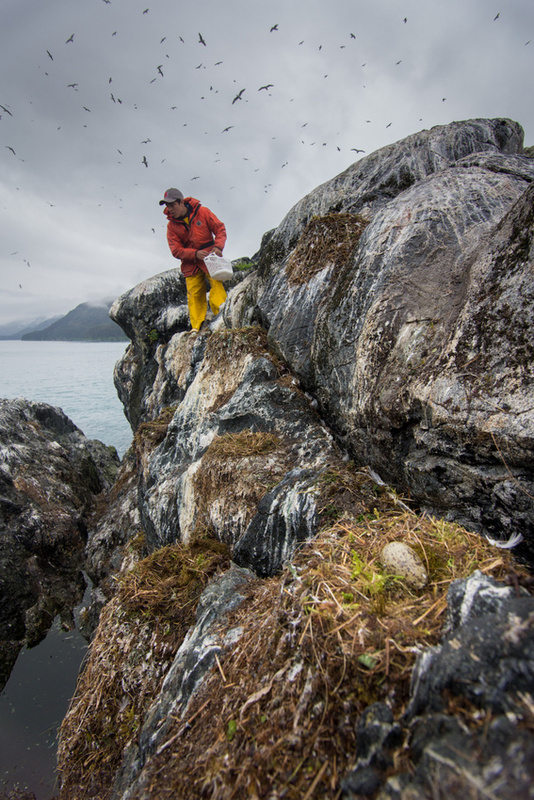 When we asked him how he found himself in the Alaskan industry he smirked. Keith’s operation in Oregon was shut down with the controversial protection of the Northern Spotted Owl. Keith didn’t blame the owl, but he was concerned about environmentalists abstaining from level-headed discussions with millers and loggers. We need to obtain wood from somewhere and displacing logging activity from the United States, to say- the Amazon Tropical Rainforest is a ‘not in my backyard’ attitude that doesn’t tackle the roots of the problem- overuse, waste and unsustainable management. 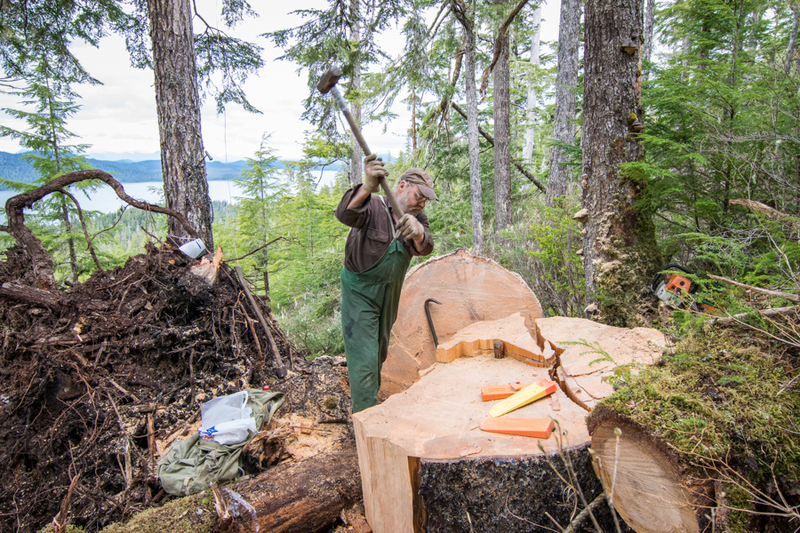 He also reminded us that unlike historical logging in Southeast Alaska, when loggers were often transient visitors who worked out of logging camps and eventually packed up and left when the season or era ended, today’s workforce is here to stay. It’s a family affair at H&L Salvage. Carmen Landers, Keith’s wife, is an expert woodworker. Here, she is taking the large cords of wood and slicing and processing them into shingles. 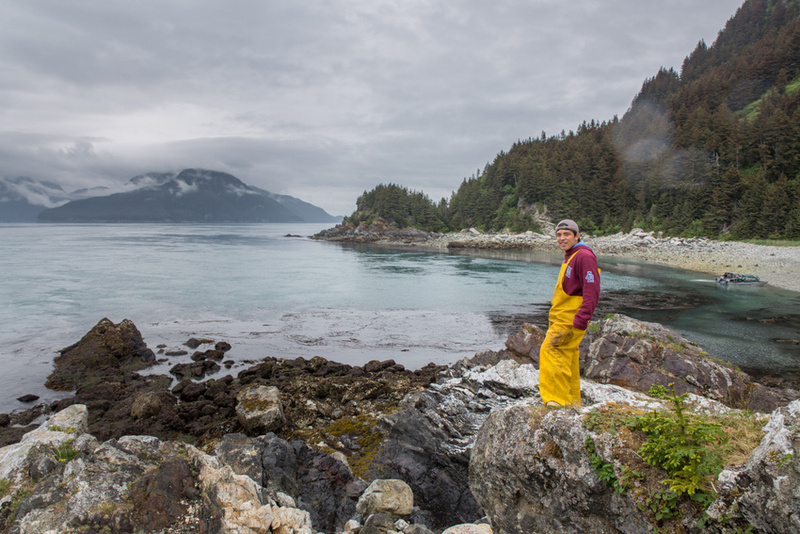 Like most residents of Southeast Alaska, Landers and his employees depend on the forest for more than economic prosperity. Landers let out a belly laugh and Marjorie and I nodded in unison. Most Alaskans aren’t really ‘city people’ after all. Recognizing our common goals is necessary for defining a sustainable timber future for the Tongass. We need to break down this false dichotomy that pits environmentalists against all development initiatives. This summer, the Tongass Advisory Committee and the Tongass Land Management Plan amendment process will put our capacity to collaborate to the test as industry representatives, environmentalists and other stakeholders discuss face to face what the future of timber on the Tongass should be. Landers stressed the importance of securing a long-term timber plan. He emphasized the particular devastation this ambiguity and uncertainty has on small mills. Uncertainty in the industry prevents small operators from investing in growth, innovation, retooling and even replacing damaged and outdated equipment that impacts productivity and poses a safety risk. Raw cords of lumber are being processed speedily into finished shingles. These workers were poised and moving so incredibly fast, the sawdust was flying! So why should we support small mills? Supporting the longevity of these operations benefits those directly involved with the mill: the owners, employees and family members. The direct impact can be pretty substantial, these operations provide quite a few stable local jobs. As Keith points out, having a number of smaller operations not only supports more jobs. It also provides a security to rural towns that a single, large scale operation does not. In the past, when a small mill goes out of business, other operations, like H&L Salvage hire laid-off employees and pick up the slack. If large scale timber industries go under, like the giant pulp operations of the past for example, the ensuing devastation to communities is much more severe. 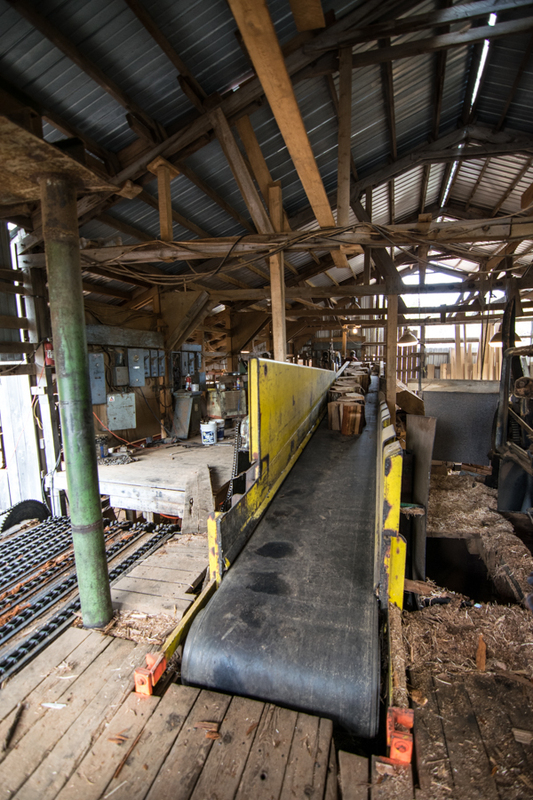 We toured the facility and witnessed raw lumber being sliced up and processed into shingles at the hands of specialized machines and talented woodworkers. My ears were ringing and sawdust soon coated every cranny of my camera. I started to wonder whether our Nikon warranty covers sawdust damage but was quickly distracted and refocused on the scene before me. The sheer enormity of the operation and the amount of talent and work required to turn trees into shingles was startling. Keith gave us insight and a marked goal: how can we support these local operations, maximize benefits to our communities and minimize irreversible degradation to our environment? We need to quell the animosity between environmentalists and the timber industry, recognize our common goals and draft a timber plan. How can we better design timber sales to support small scale local millers? ‘No export provisions;’ on targeted timber sales would incentivize in-region manufacturing of raw lumber and help small mills fairly compete for, and win, small timber sale bids. As Landers pointed out, small mills are high in employment, provide stable jobs, and use wood resources on a sustainable scale. However, many of the woodworkers we met, including Landers, stressed the important balance of larger and small mills. The larger, more engineered mills (mainly Viking Lumber) support regional infrastructure that the smaller mills, and communities more generally, depend on (e.g. barge, road systems etc.). It’s a tricky balance and one that will require more thought, fieldwork and discussions in communities with a great variety of stakeholders. Understanding the impact this balance has on our forests, how we can more carefully and responsibly craft timber sales is also an important piece of the puzzle. We thanked Landers for his wisdom, dusted ourselves (and our camera equipment) off and left R&L Salvage for our next stop, Good Faith Lumber. 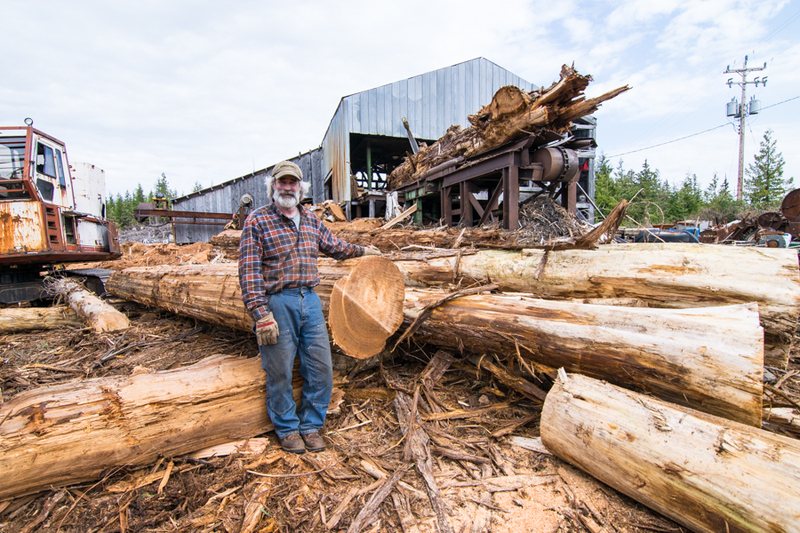 Keith Landers stands in front of lumber from a recent timber sale. This raw lumber will be processed into shingles and dimensional lumber on site and in the process, provide ample employment opportunities to communities that need it. We rambled down a maze of logging roads in search of the bucket Larry left by the road to signify our pulloff. Eventually, we spotted the bucket and a sedan pulled conspicuously off the gravel. We were greeted by Larry Trumble who owns and operates Wood Marine a soundboard manufacturer. Larry is intriguing. He often speaks about himself in the third person and mumbles off topic pretty regularly. All his idiosyncrasies contribute to his charm and we were eager to follow him to his worksite. We trudged behind him up the cliffside. Larry maneuvered through the forest with an unexpected agility and grace. It became clear that Larry spends a lot of time in the Tongass. 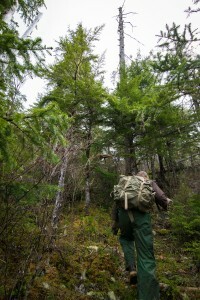 We balanced behind him, filed up the trunk and along the spine of his treasured Sitka Spruce. We arrived to his ‘office’ and Larry quickly began rigging up a makeshift antenna so he could access some motivational music before he began harvesting future soundboards from the spruce laying before him. The view was inspiring. 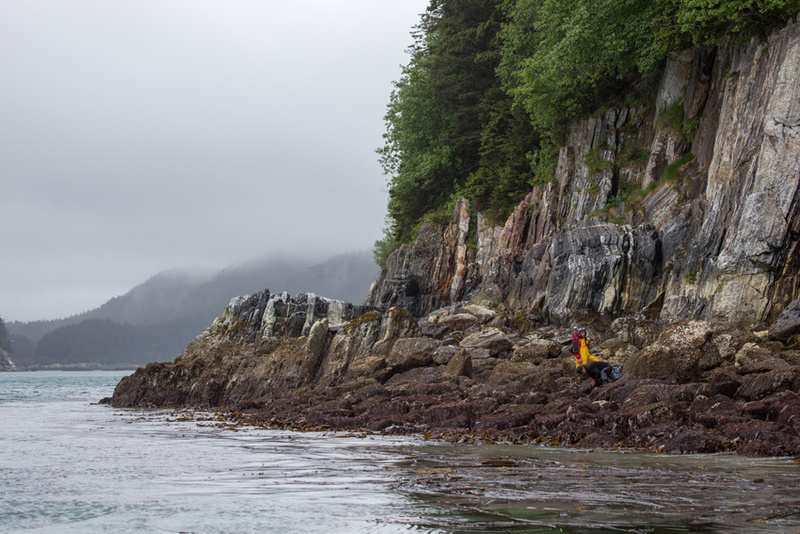 We were perched on a huge stump, balanced on a cliffside, overlooking a calm and misty afternoon settle across the Tongass and coast. The peace was quickly interrupted by the sawing and chatter of Larry. Larry wasn’t used to having guests tag along; he talked incessantly. He commented how in most cases, he hikes across rough terrain and eventually camps beside his beloved spruce for the time it takes to buck it up. The work was hard and I felt a bit guilty snapping photos and asking questions while he sweat and toiled over his woody bounty. This particular spruce will take Larry an estimated five weeks to process between chopping up the tree, packing down to the wood, processing the raw lumber into a ‘book set’ for soundboards, drying and selling. Larry will salvage about six trees a year and produce from the raw lumber, valuable book sets that will be sold at a high price to a variety of guitar markers across the country. Trumble stressed the rarity of musicwood trees and emphasized how this invaluable resource should be managed to incentivize the in-region manufacturing of high value added products like soundboards. It doesn’t get more ‘small scale’ than Larry. He prospects for trees alone and chops up the wood by himself. 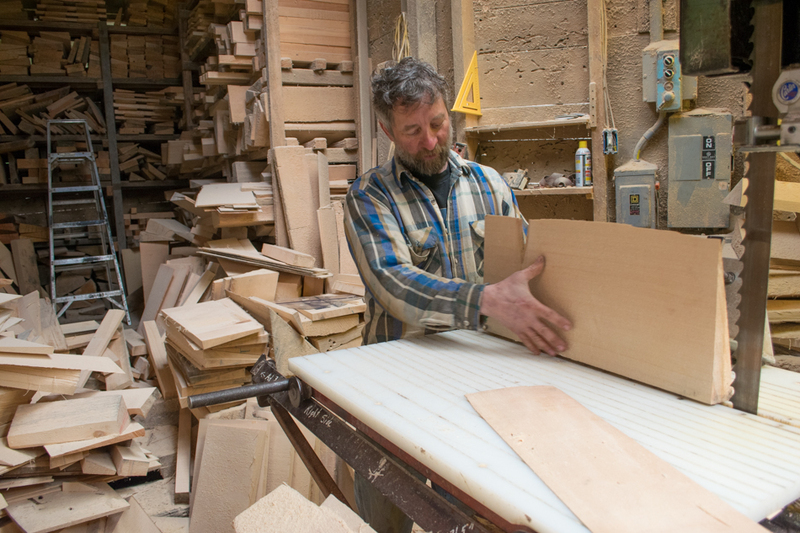 He processes and sells the boards on his own and it only takes six selectively harvested dead and down trees a year to sustain his valuable business providing musical instruments for the world. He’s an atypical kind of guy, that flourishes in an atypical ‘self employed’ type of business. The kind of peculiar resident that gives rural Alaska its distinct character. The US Forest Service intends to close fifty percent of existing roads across the region. These musicwood businesses operate under the US Forest Service’s microsale program and as Larry points out, depend on access to old-growth stands in timber designated areas to prospect and find appropriate dead wood that meet the stringent qualifications for musicwood. The microsale program is a valuable timber initiative that facilitates the extraction of high value products from fallen trees within a short distance of particular road systems. Programs of this scale and minor environmental disturbance should be supported and efforts taken to prevent subsistence loggers like Larry, who obey all protocols and responsibly extract a high value product from dead trees on an already disturbed roadside, from being forced out of business. Existing roads that the Forest Service made, are depended on by Larry and other residents and businesses across the region. This is particularly evident on Prince of Wales. A careful selection of existing roads should be maintained for sustainable timber microsales and to maintain access into forest stands for management activities such as silvicultural thinning and restorative restoration. Instead of focusing efforts on building additional roads, the Forest Service could instead maintain the ones we have. 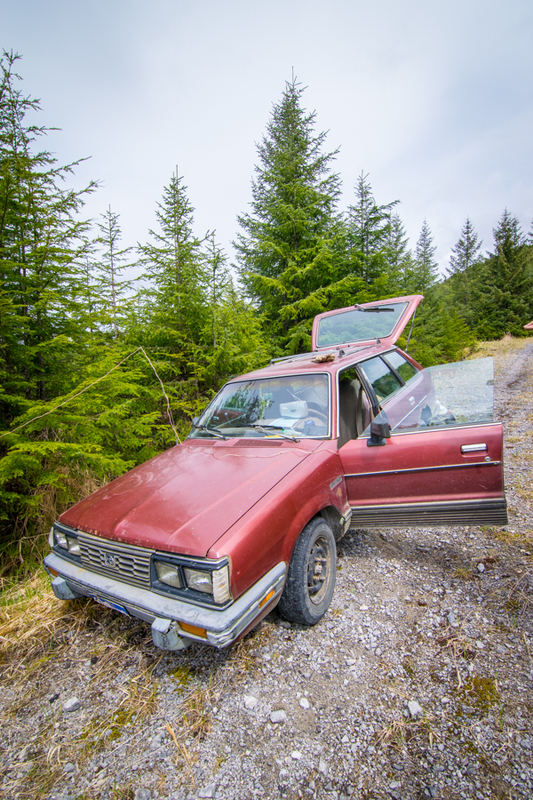 The specific roads that access timber designated areas, support a valuable and diverse microsale industry that is becoming increasingly relevant on the Tongass as large-scale mass timber harvests subside and small, value added, innovative woodworking enterprises flourish. Larry’s operation is the definition of ‘small scale’. He prospects for trees alone and chops up the wood by himself. He processes and sells the boards on his own and it only takes six selectively harvested dead and down trees a year to sustain his valuable business providing musical instruments for the world. We left Larry to his work and jumped into our rig. As we drove past, we could hear a chainsaw firing up somewhere hidden in the treeline. 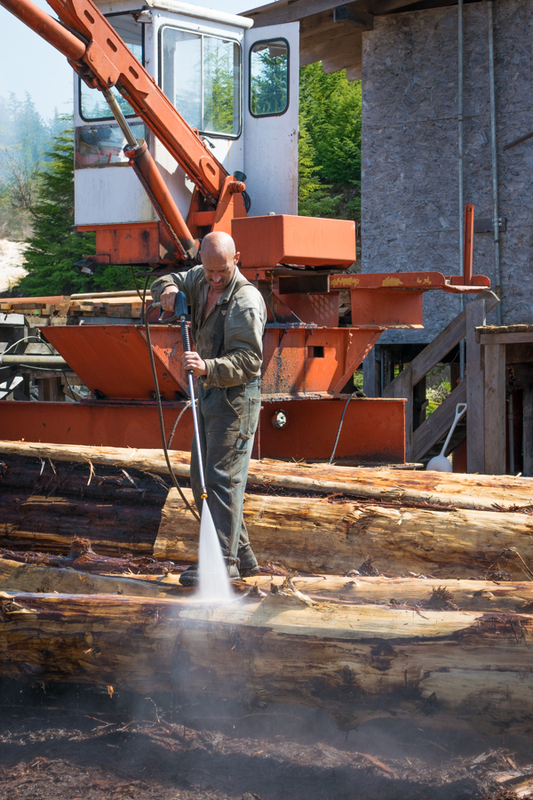 Musicwood producers on Prince of Wales Island showed us how you can flip an astonishing profit from the careful use of a small amount of dead old-growth spruce. We left the glamorous world of musicwood behind and headed next to a mill where we would learn a thing or two about shingles, dimensional lumber and spotted owls. Tune in tomorrow. Ten years ago, in anticipation of the 50th anniversary of the Wilderness Act occurring this year, in 2014, the United States Forest Service launched what it termed the Ten Year Wilderness Challenge – an endeavor aimed at bringing to the over 400 wilderness areas under the Forest Service’s management a level of care needed to protect and preserve their wild character. As of 2009, the Sitka Conservation Society has been one of the organizations partnering with the Forest Service, specifically the Sitka Ranger District, to bring this goal to fruition. Sunset view from the island on which we were camped. 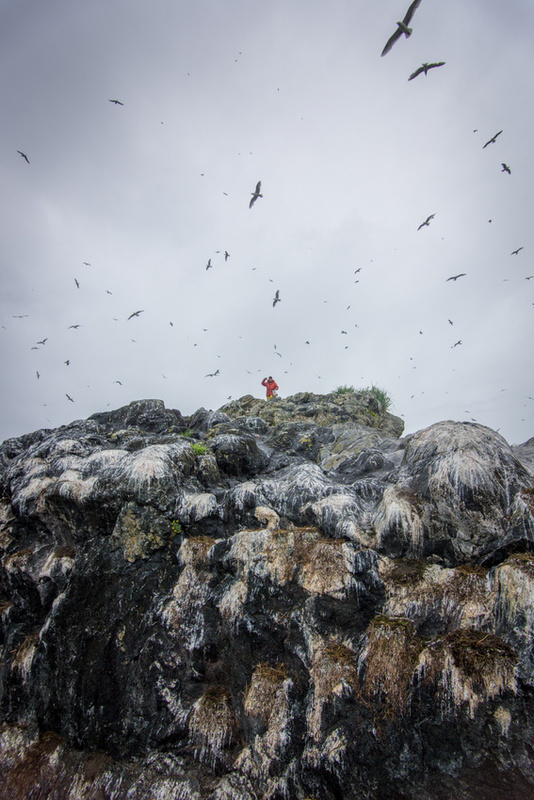 This past week, I was lucky enough to find myself on the first Community Wilderness Stewardship trip of the season, traveling north to the Baird Islands. 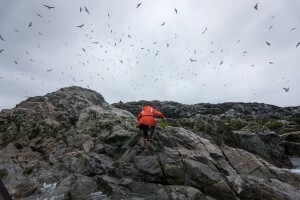 Bordered to the east by Slocum Arm and on the west by the Pacific Ocean, the Baird Islands are part of the West Chichagof-Yakobi Wilderness Area, successfully designated wilderness in 1980 by the famed Alaska National Lands Conservation Act. And after spending four days in this area, it’s fairly easy to understand why the citizens of Sitka fought so hard to rescue this land from logging operations. 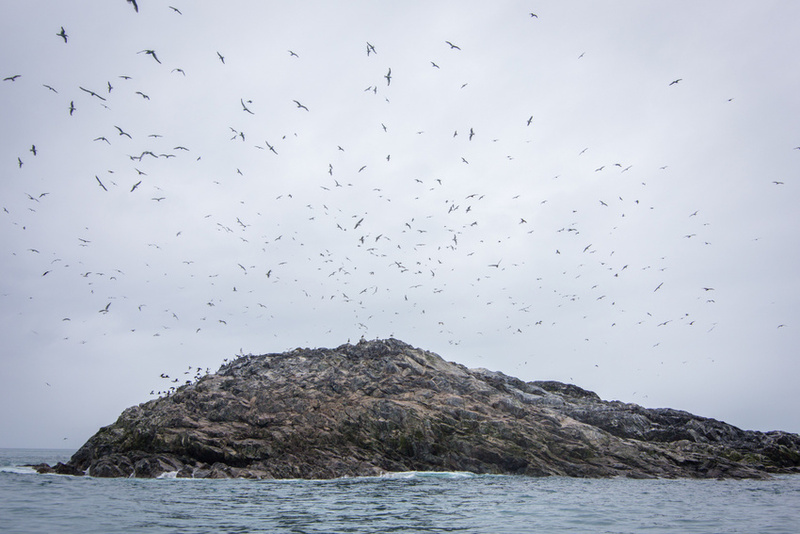 Over the course of the trip we were awoken by whales in the morning, tailed by playful sea lions, protected from the elements by huge old-growth trees spreading their branches above us, and at all times were looking out on panoramic scenes of untouched mountain and open ocean. 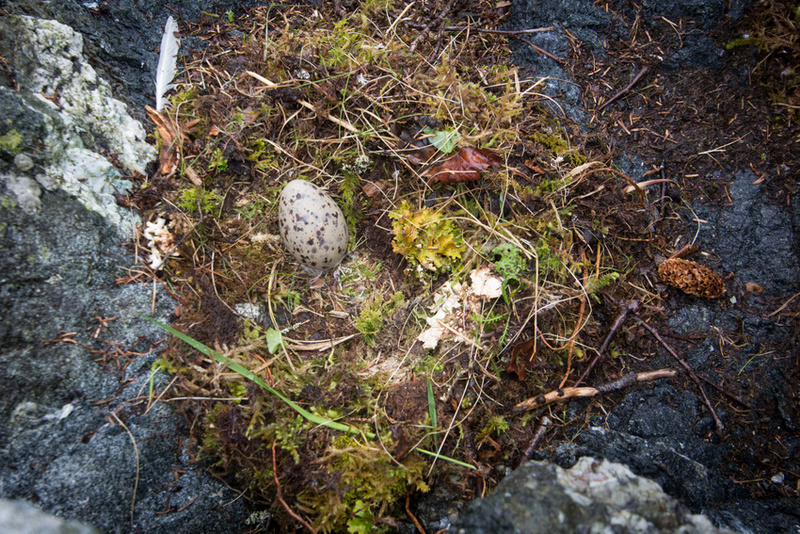 Nature, it would seem, is doing alright in Southeast Alaska. The crew, from left to right, Frank Barnes, Paul Killian, Tracy Gagnon, and Mike Belitz, rest for lunch. And it is; but we also found signs that the work of conservation is not yet over. On a few of the small islands in the chain, we discovered an invasive species of plant, possibly curly dock, which, without monitoring and control, could constitute a threat to the ecological health of Southeast’s native species. We also came upon lots of human trash, which, along with the potential harm it may have on the ecosystem, is also obviously an aesthetic affront. As well as doing general inventory on site use and monitoring for signs of permanent human presence, we therefore also spent a lot of our time picking up trash and pulling out plants. One of my favorite moments from the trip happened in the midst of one such garbage pick-up. As I was, rubber gloves on and trash bag in hand, helping clean up the beach on which we were camped, Paul Killian, an individual at the crux of the partnership between SCS and the Forest Service, walked by me with a particularly heavy haul of trash. I made a comment about what a good load he had gotten, to which he smiled and said, “It’s not staying in my wilderness!” I liked the way that Paul had phrased that: “my wilderness.” It reminded me of a fact I often forget – although one that each time I remember amazes me no less – which is that by virtue of being American citizens, we are all shareholders in these vast and beautiful tracts of land. Our public lands, constituting about a third of the United States, are, in essence, land being held in trust for the American people – for us. It is land about which each of us is allowed to have and exercise a voice. There is thus something very personal about these public lands; and nowhere do I feel this more acutely than when I am actually out in the wild, enjoying and appreciating these areas. Herein, for me, lies one of the true values of experiencing wilderness: it turns the theoretical concept of conservation into a concrete and emotionally-driven desire to take good care of our earth. A lookout onto the ocean from our campsite. My first trip to the Alaskan woods and waters made me very excited for a summer of working with various peoples and places in Southeast as SCS’ wilderness intern. 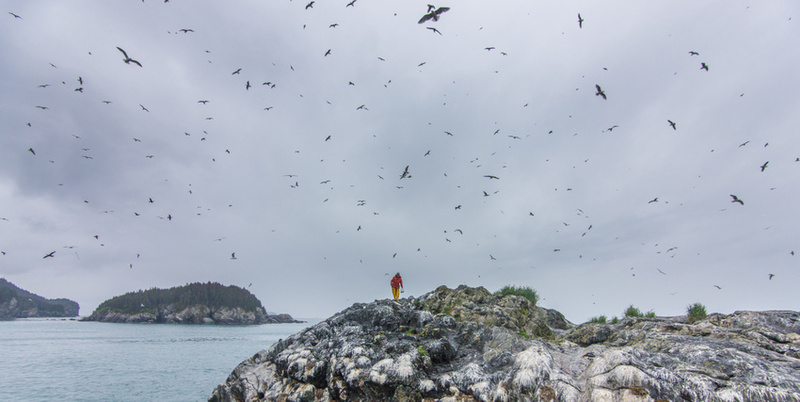 Being in the Baird Islands reminded me that even after an area obtains official wilderness designation, these lands remain in need of protection and voices to speak for them. Luckily, I also got to see firsthand that these places remain very much worthy of protection, and that there are people willing to lend their voices and hands to the continuing cause. 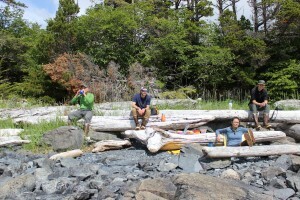 If you’re interested in volunteering for SCS, be sure to check out our site’s Wilderness Page. 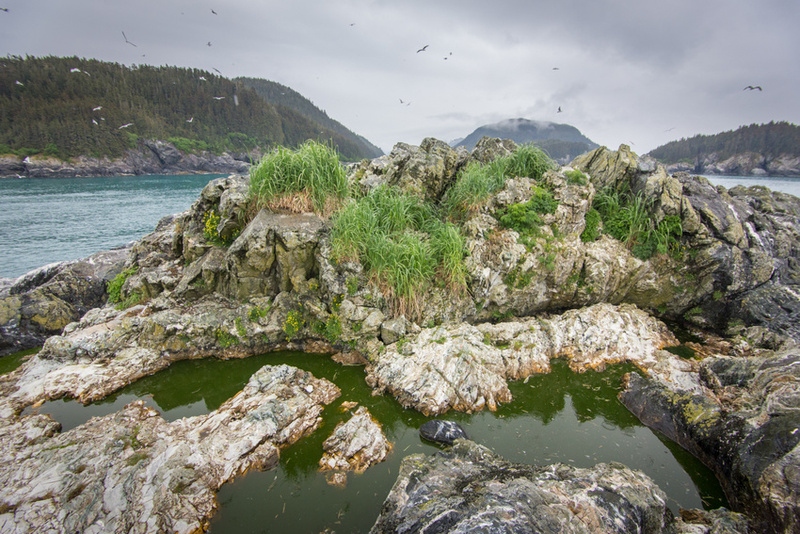 It has all the information on how you can get out and explore Southeast Alaska while making a difference and helping SCS promote the cause of conservation! We ambled down the road and through the rain to our first lesson in woodworking. Alaska Specialty Woods (ASW), co-owned by Brent and Annette Cole, is a major soundboard producer on the island. We pulled into the drive and were immediately welcomed by Annette who was grinning and eager to show us the operation. The place was caked in sawdust. Antlers dangled from the rafters and every available space was jam packed with plates of wood. These soundboards will be mandolins, guitars and other string instruments someday strummed by the hands of established musicians and frustrated hopefuls. Brent founded ASW in 1995 as a family operated business with a single saw in hand. Annette emphasized the business’ humble and family oriented beginnings. Today, business is booming and the charming bucolic series of wood sheds in the Cole’s yard is being replaced by a shiny new manufacturing facility where processing, drying and storing can all happen under one roof. This advancement is welcomed by Annette and Brent who explained how even minimal exposure to the elements can influence a sound board. So what makes a good sound board? Sitka spruce is the glory of sound board wood, which is why Brent’s products are in demand by everyone from big names like Gibson to independent string-instrument crafters across the globe. To demonstrate the quality of this wood for sound production, Annette pinched a ‘½ sound board set’ between her thumb and forefinger and let the wood hang. With her other hand she tapped and flicked the center of the sound board. A beautiful sound reverberated from the wood and a big grin crawled across her face. “Just listen,” she said. Straight, slow growing, ancient Sitka spruce with tight uniform rings (and the way the wood is cut) produce the stiff, tough softwood quality necessary for musicwood. The particular trees that meet the stringent requirements necessary to produce high quality sound are not widespread. 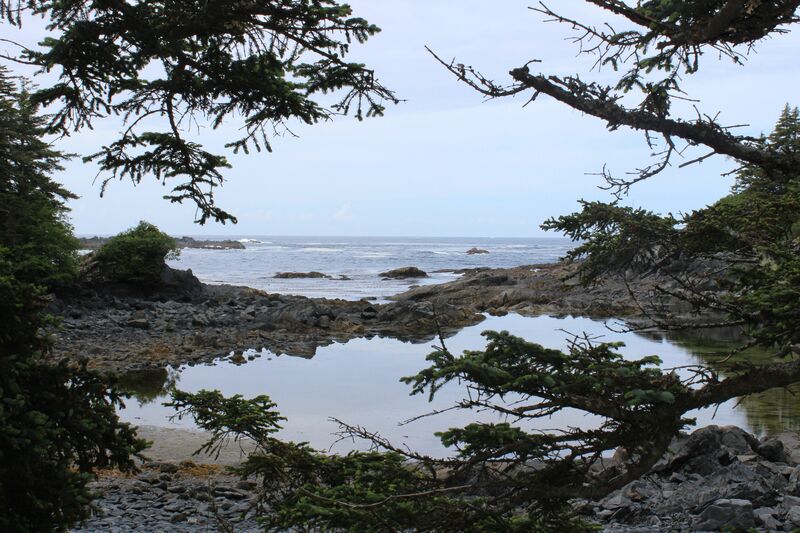 ASW salvages ‘dead standing’ or ‘dead down’ old-growth spruce for their production. They will search the forest for appropriate trees and apply for the necessary sale with the US Forest Service who then refer to a long-list of requirements before administering the sale. 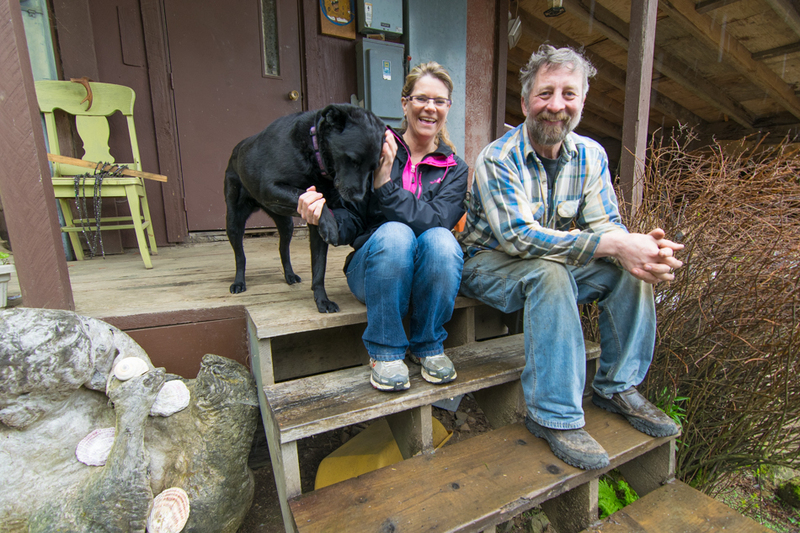 Brent and Annette sometimes even source wood from logs used on abandoned float houses or old logging bridges! This mantra of salvage, reuse and eliminating waste is pivotal to Brent in both his business and personal life. Brent and Annette are dedicated to the elimination of waste wood. Every usable piece of wood is crafted into a sound board and bits and pieces and scraps are used to build deer calls and even jewelry! As Brent points out, although wood is technically a ‘renewable’ resource, the types of trees he sources are limited and stewardship and care are required to assure their presence in the long run. One thing is for certain, once an ancient spruce is adopted by the Coles, very little is ‘wasted’. 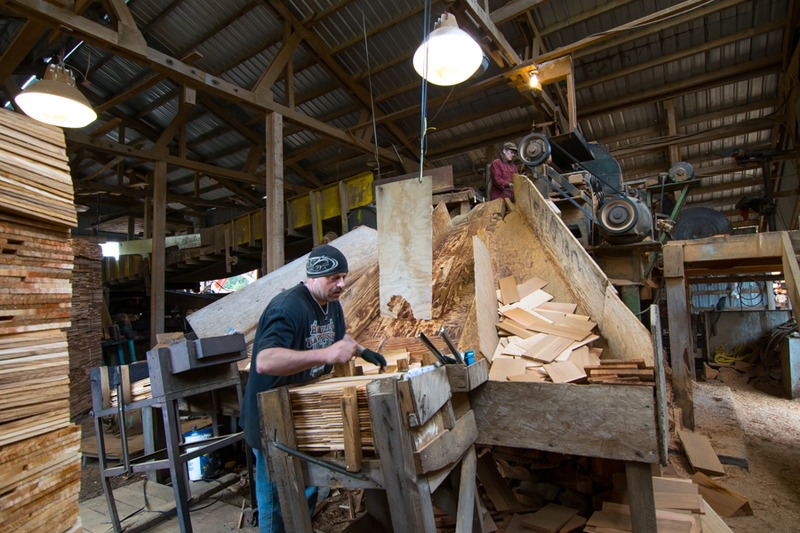 Every possible space on their property is cram packed with boards and the small offcuts are used to make deer calls or even jewelry. One tree in particular is being coveted by ASW and not a single inch of this wood will be unused. When excavating their property to build the new facility, Brent stumbled on an old spruce buried during a landslide, twenty feet under the earth. “We thought this was waste wood at first. But once exposed to the air, the blonde wood began to change to a brilliant blue gray.” Intrigued, they sent a sample off to be carbon dated. “It’s 2800 years old, plus or minus thirty years” Annette proudly announced. This wood is being processed and soundboards are sold under the ‘Ancient Sitka Line’. The story of this wood reminds us just how astonishingly unique our natural resources are. The rarity, age and significance of our forests gives a story to our lumber that adds unparalleled value to wood products manufactured here in Alaska. The Ancient Sitka Line of sound boards (on display on left) is crafted from a 2,800 year old Sitka Spruce that was uncovered during excavation on their property. Once unearthed and exposed to the air, the blonde wood turned a brilliant blue gray color with spectacular streaks (detail on right). This tone wood is available for purchase on the ASW website. Protecting the longevity of the musicwood industry rests on the careful management of old-growth forests in Southeast Alaska. Part of a responsible management scheme will involve maximizing the best use and highest value for the raw material. Recognizing the most suitable and valuable use of a given tree or piece of lumber is a critical component to maximizing benefits from our invaluable old-growth forests. Understanding when we can and can not substitute second-growth, or younger timber for wood products is an important piece to a successful industry and a responsible timber program. Business is booming and Annette and Brent are moving their family business from their humble woodshed to a refurbished facility across the street. Like the lumber ASW utilizes, the original building frame was salvaged and transported from an unused facility on South Prince of Wales. Brent and Annette were wonderful hosts who taught us a great deal about the careful use of our globally rare wood. 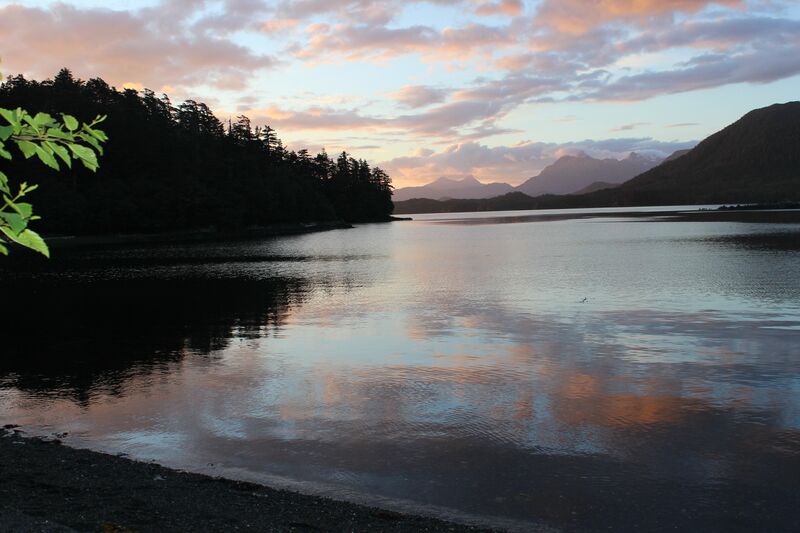 We admired the beautiful Ancient Sitka Line a bit longer before Michael herded us back into the truck. We slid beside piles of boards and were careful not to be hooked by a saw. We left Alaska Specialty Woods and headed for our next stop. There, in the company of an unconventional guide, we would witness raw musicwood being extracted from the rainforest floor. Check back tomorrow to meet Mr. Larry Trumble. Check out the Ancient Sitka Line, visit Alaska Specialty Wood’s website and follow along with ASW on Facebook! 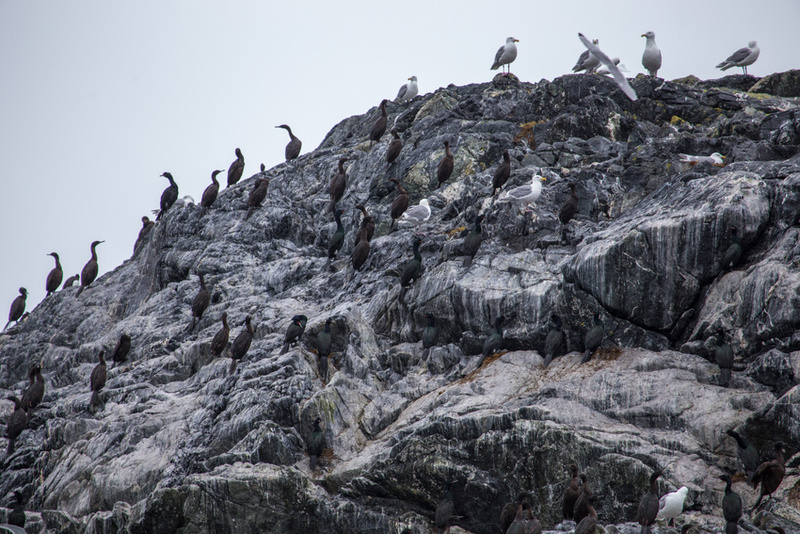 The Sitka Conservation Society (SCS) formed almost fifty years ago when citizens banded together to take grassroots action to protect the natural environment of Southeast Alaska. Massive clearcuts were threatening our quality of life and the ecological integrity of our forests. Startlingly, the majority of these huge stands of temperate rainforest spruce and hemlock was being pulverized into pulp- hardly the best use of our globally rare and awe-inspiring trees. The pulp days brought transient economic stimulation and left behind clearcuts, impaired forest systems and rural communities desperate for sustainable economic stimulation and a more responsible timber industry. 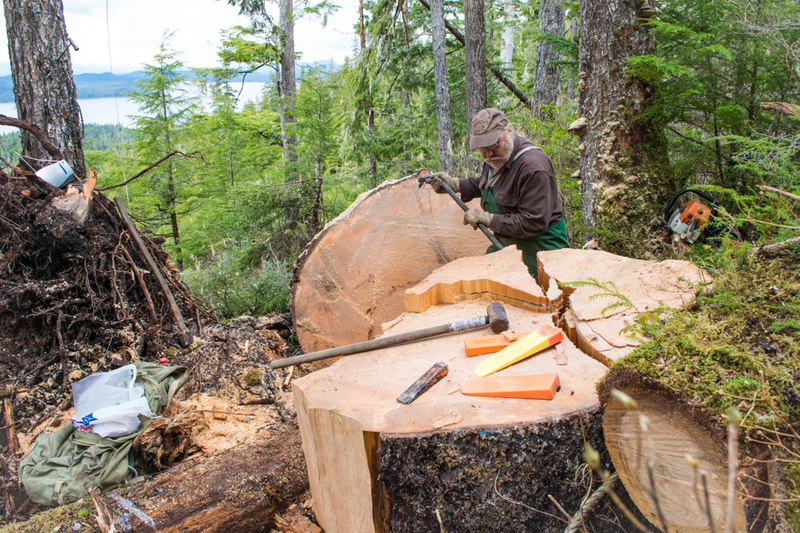 The Sitka Conservation Society is investigating a sustainable timber future for Southeast Alaska. To do this, we must step beyond conventional conservation norms and engage actively and sincerely with timber operations across the Tongass. 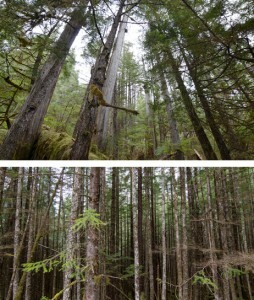 Compared to the pulp behemoths of yesterday, the current logging scene on the Tongass is almost unrecognizable. Because the most economical, highest quality, and easiest to access trees have been cut, today’s timber industry is much smaller in size and scope. Tongass lumber is being used for products beyond pulp such as soundboards for guitars, dimensional lumber, shingles, and furniture. 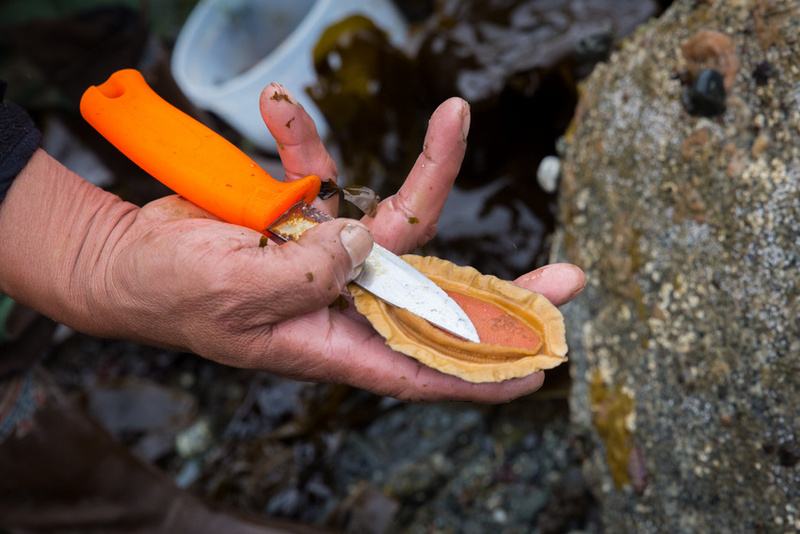 The work of the Sitka Conservation Society is also changing. 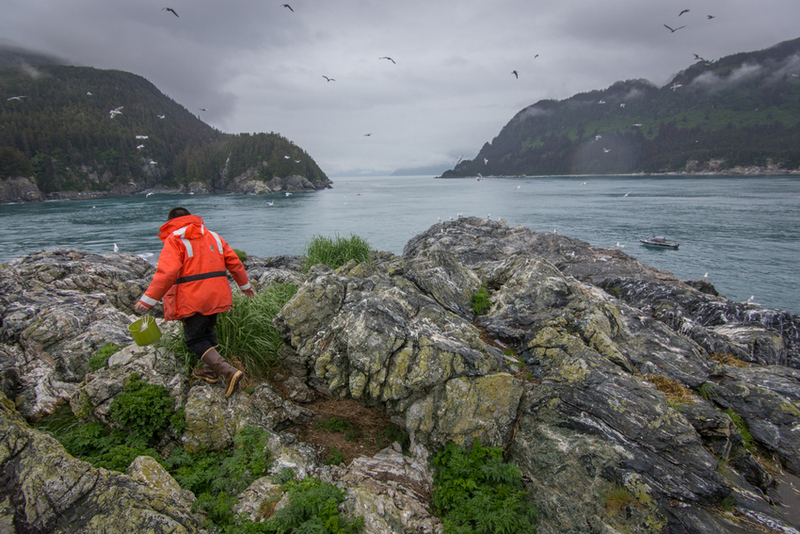 We work in a new atmosphere on the Tongass, where stakeholders prioritize the forging of collaborative partnerships to tackle regional challenges and capitalize on regional opportunity. 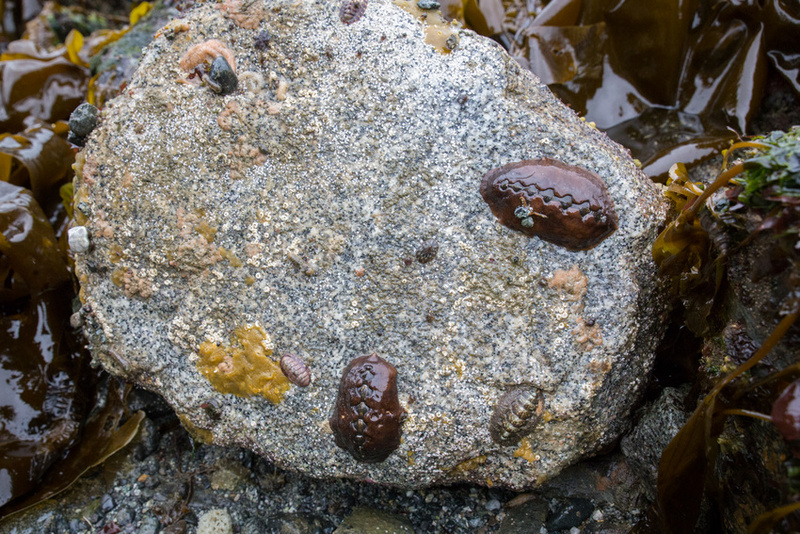 The need to promote a land management regime that represents sustainability, rather than the ‘boom-and-bust’ mentality of the past, in recognized as critical to the long-term prosperity of communities in Southeast Alaska. The composition of our forest is also changing. Clearcut areas are becoming commercially viable young-growth stands while old-growth forests become increasingly rare in the region and across the globe. 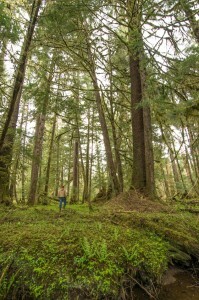 The Tongass announced its Transition Framework in 2011, with the intent of moving forest management from an unsustainable and myopic focus on old-growth harvest to young-growth management and a more holistic approach to governing the Tongass. How can we maximize local benefits to our communities here in the Southeast while minimizing negative impacts to the ecological integrity of the forest we depend on and love. How do we ensure long-term ecological integrity and renewable resource returns? Easy enough, right? Wrong. Answering this question is no easy task. The stakeholders are many, the ways of achieving this are endless and the goal itself is a spectrum. As daunting a course this is, we are dedicated to the cause. To ground our vision as conservationists, it is necessary to step beyond conventional norms and walk among the lumberjacks and millers for a while. 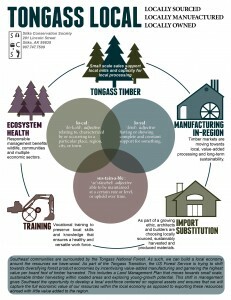 How is old-growth lumber being used, processed and manufactured on the Tongass today? We grabbed our field notebooks, left our insulated and cozy home of Sitka, hopped on a Harris Airplane and flew to Prince of Wales Island (POW) where the action is. Unlike Sitka and much of Southeast Alaska, POW is criss-crossed with roads, old logging roads to be specific. The network of asphalt connects the towns of POW as it winds through old-growth stands, clear cuts, over rivers, along estuaries, through valleys, and over mountain passes. Our travel guide was Michael Kampnich, the Field Representative for The Nature Conservancy on Prince of Wales. Kampnich arrived to Alaska in the 1980’s to log. He found a home in the area and never left. Kampnich has built a relationship with a few of the mills here on POW. Michael has a high regard for the effort it takes to operate and maintain these mills. 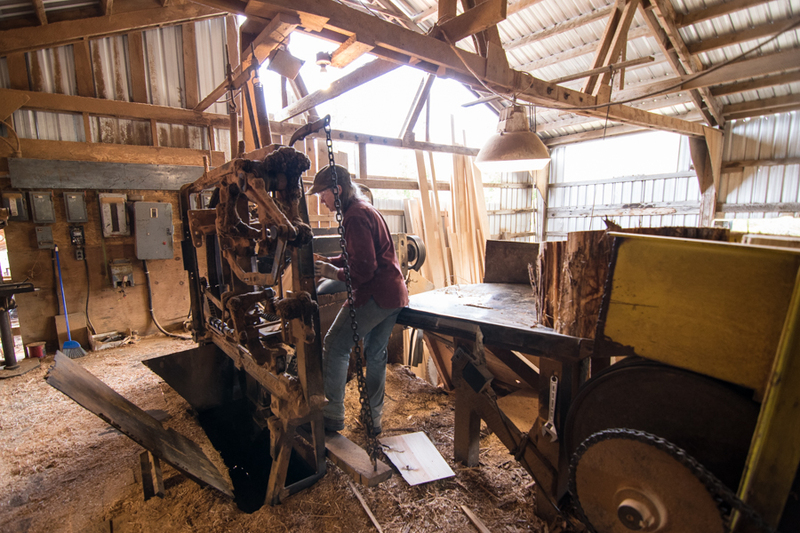 Owners aren’t in an office directing others, they’re running the sawmill or operating one of the many pieces of equipment necessary to produce a shingle, a board or a piece of trim. Most of them are acquainted with Michael, and for that reason they were willing to break away from their busy schedule to chat with Marjorie and I. 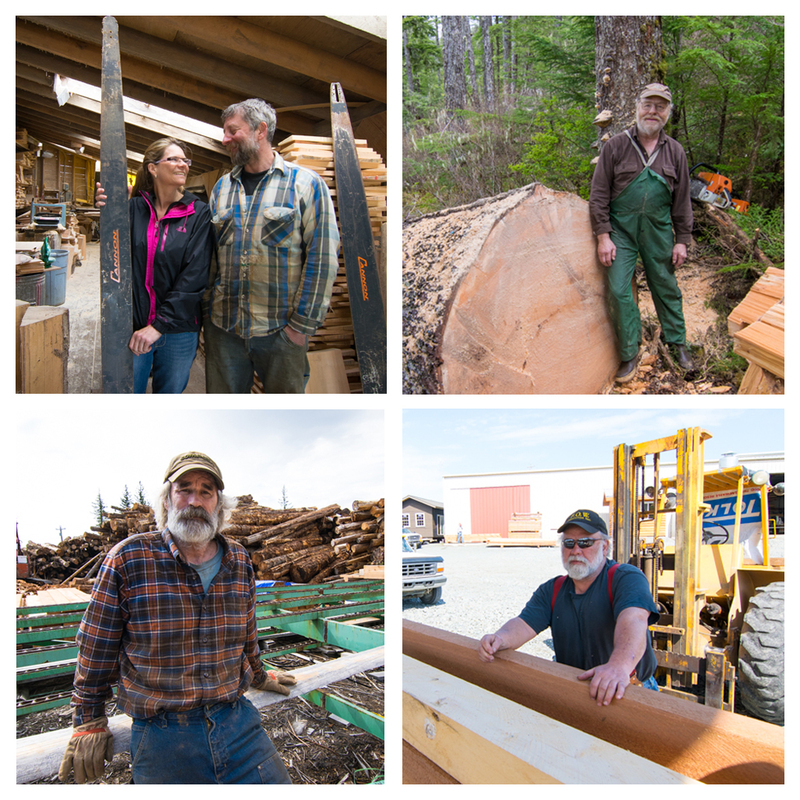 Tune in tomorrow to meet Brent and Annette Cole of Alaska Specialty Woods. This family of musicwood producers has more than just a great story to share, check in to oogle at their gorgeous 2,800 year old ‘Ancient Sitka Line’ of soon-to-be guitars. Dargon Point Timber Sale – Local Wood, Local Benefits? *This bid was for 309 MBF Hemlock and 4,211 MBF Sitka Spruce young-growth. So what’s the big deal? To understand the issues, let’s start form the beginning. The Dargon Point timber sale is a young-growth timber harvest involving 57.7 acres on Prince of Wales Island in Southeast Alaska. This sale presents a unique, new economic opportunity and is one of the first of its kind in SE Alaska. The sale provides large expanses of valuable and viable young-growth timber accessible by road, a characteristic uncommon in remote Alaska. This is the Good Faith Mill in operation on Prince of Wales Island. Small mills provide stable jobs and economic diversification to our region. Supporting these valuable operations so that they can realistically compete for timber sales requires changes to the timber sale program and the US Forest Service appraisal system. The Dargon Point sale is significant because of the opportunity to stimulate the Tongass Transition and promote resilient, sustainable and economically diverse Southeast Alaskan communities by catalyzing in-region business development, in-region manufacture of value-added products, and more value-per-board-foot. However, the same threat still exists, the exportation of the long-term benefits, along with jobs and profits, overseas. The size, logistical ease and value of the sale has attracted the attention of large-scale lumber exporters, primarily in Asian markets. Dargon Point represents a real opportunity to stimulate economic diversification in the region. 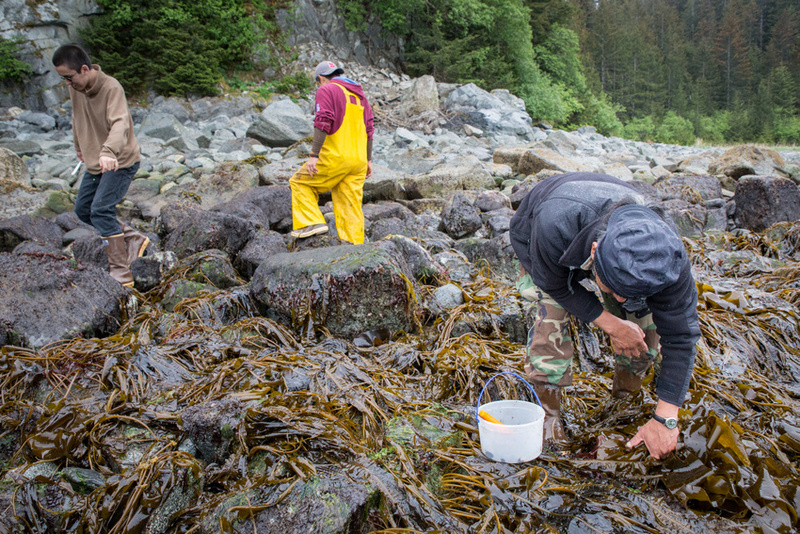 The Tongass Transition Framework was put forward by the US Department of Agriculture in 2010 with the support of communities, tribes, and entities throughout the region. The framework was initiated to stimulate job creation, address the dwindling supply of old-growth timber, and transition Southeast Alaska into a sustainable, economically diverse region with a healthy young-growth timber industry. A large component of the Tongass transition involves moving the region out of old-growth timber harvest and into young-growth management. The outcome of the Dargon Point sale can set a promising precedent for the future of young-growth sales and stimulate a successful integrated transition. “The project will be pretty wide-ranging in its impacts, from improving forest health and wildlife habitat to providing sawlogs to mills and job opportunities for local contractors…If approved, the young-growth volume will diversify the current Southeast Alaska timber industry”. However, these “wide-ranging” local impacts are unlikely to be realized if Cole, the US Forest Service and the region fail to address shortcomings in the current timber appraisal system. The existing appraisal system virtually eliminates local businesses by making it near impossible for small-scale miller operations to realistically compete with timber exporters. 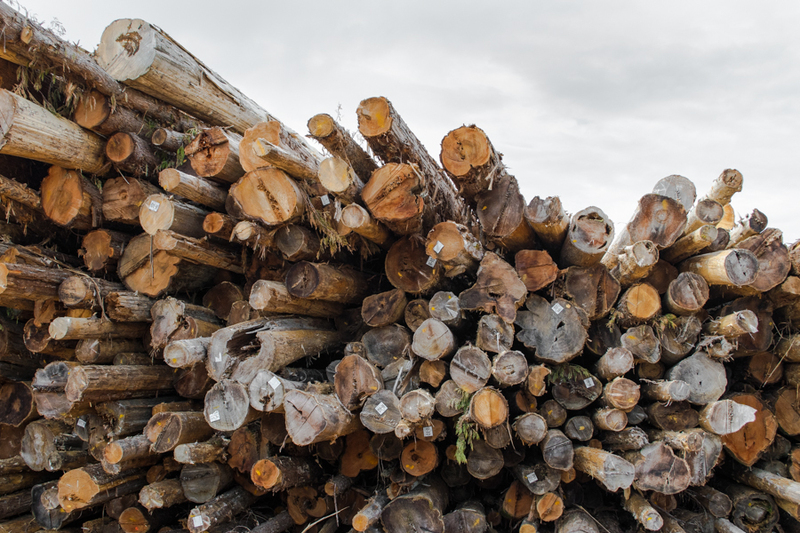 Timber sale layouts, offerings, harvest timing, and size, could be carried out in a responsible manner that encourages business investment, job growth, and value-added manufacturing in Alaska. As it stands, the appraisal system does not fully capture the value that young-growth timber offers our region, nor does it catalyze local development. 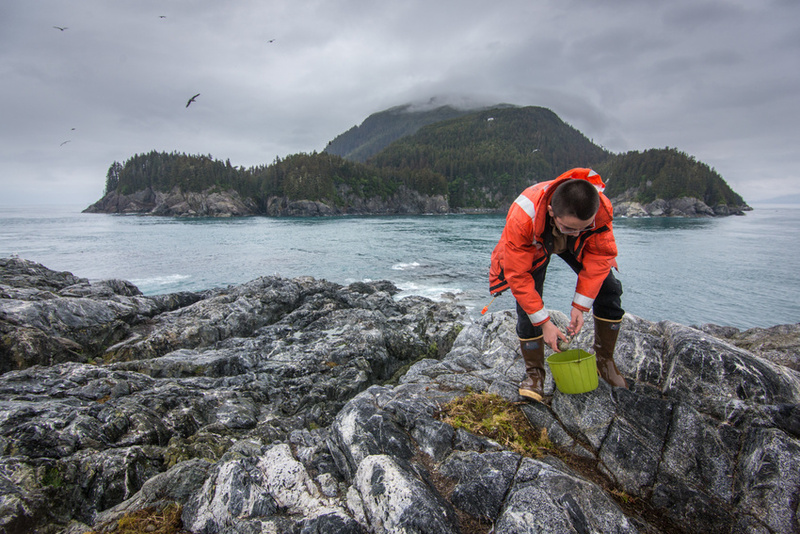 This system needs to be reformed or amended to realistically support the values and goals of the Tongass Transition and value local processors for a young-growth industry. Alaska Region 10 is undoubtedly unique and has logistical, cultural and historical differences that need to be reflected in the governance of its natural resources. The system needs to encourage business investment and business development. 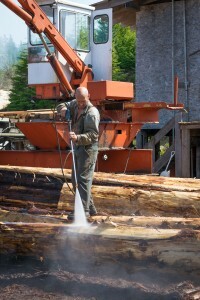 Second-growth lumber being prepared for processing at a small manufacturing mill on Prince of Wales Island. In the last decade, the USFS has fore fronted the need to collaborate with partners as it realizes its mission across the United States. Many regional entities have been collaborating effectively with the USFS, local mills, schools, contractors, and businesses to ensure an efficient young-growth process that supports job creation, capacity building, economic diversification and a healthy future for our young-growth industry. For instance, the Nature Conservancy’s retooling loan fund intends to aid regional mills in building infrastructure for processing young growth. 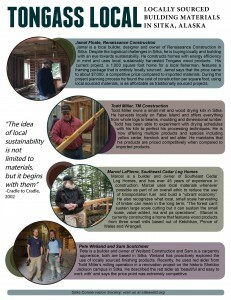 The Sitka Conservation Society has worked with partners to build young-growth community assets, test business plans and understand the best-use of young-growth wood. All of these activities are in line with the USDA’s Strikeforce initiative, a “commitment to growing economies, increasing investments and creating opportunities in poverty-stricken rural communities”. 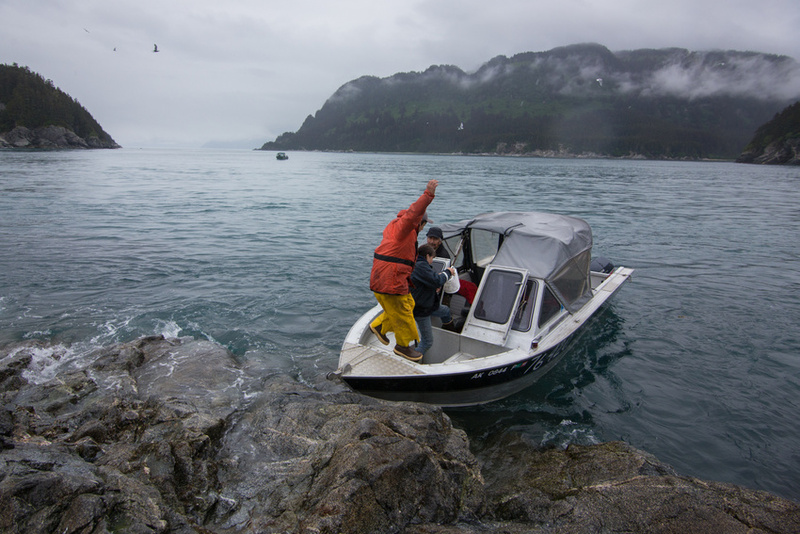 While Strikeforce and the Transition Framework support economic growth and a smaller scale timber industry suitable for SE Alaska, there is a marked disconnect between these initiatives and the sales being planned and offered. The success of the transition and the full, long-term benefits of our combined work cannot be realized without legitimate access to young-growth timber for local mills and businesses. The next major collaboration may be one that explores and evaluates the timber appraisal system and the goals of the US Forest Service. Do they want to develop and support a timber sale program that is appropriate to the scale and needs of Region 10? Or will it remain business as usual with our resources exported for others to profit from them. If the appraisal calculator were reflective of actual regional needs and the value of local resources, we would already be doing just that. In-region processing must be represented in the appraisal system, if not promoted over export. Young-growth is a forest resource that is valuable and we should be moving the transition forward by investing in young-growth opportunities. The solution is two-fold, first the USFS should design and offer young-growth sales that are scaled to benefit local processing rather than attract export companies. This means sales of less than 1 MMBF. Secondly, designing and offering young-growth sales located on the existing road systems for local processing only will enable smaller outfits to be competitive in the bidding process.